COME CELEBRATE THE MELODIANS 50TH GOLDEN JUBILEE, PRESENTED BY BAGGAJO PRODUCTIONS. Edited 3 time(s). Last edit at 01/19/2013 02:21AM by Baggariddim. THE LEGENDARY MELODIANS ARE ALSO CELEBRATING THEIR 50TH GOLDEN JUBILEE WITH A NEW ALBUM, LYRICS TO RIDDIM, SOON TO BE RELEASED. Wow! This looks like a super classic show! Great work Jolene! "By the rivers of babylon"
COUNTDOWN TO THE MELODIANS 50TH GOLDEN JUBILEE SHOW AT REDWOOD CAFE--COTATI, CA! 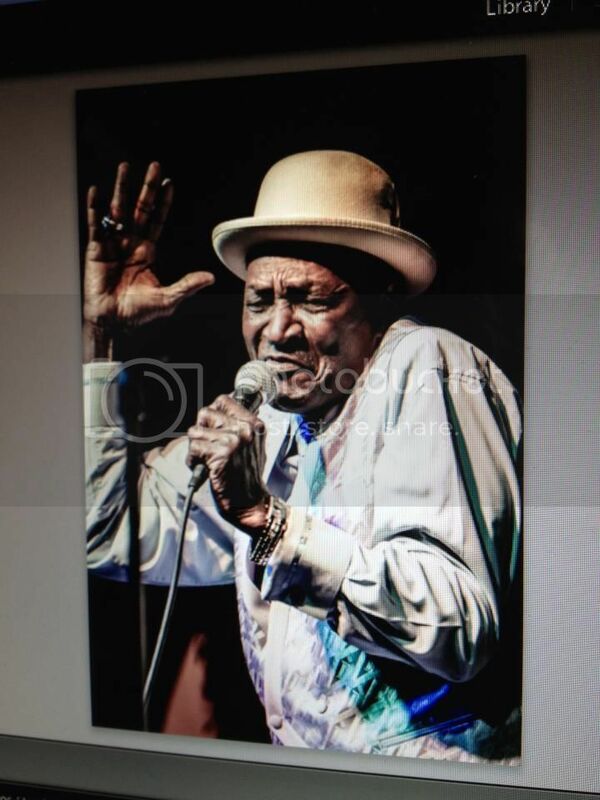 Long Live Rocksteady! 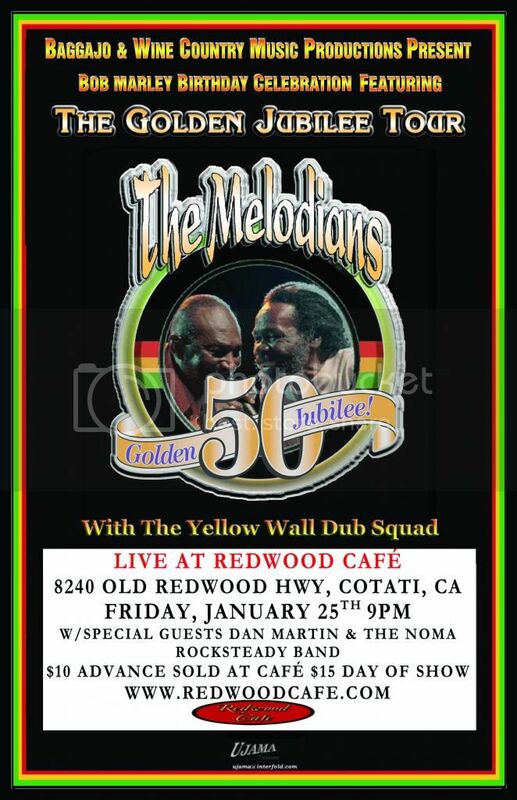 See Living Legends The Melodians This Friday Night-1/25/2013 in Cotati, CA! The Melodians Latest Release, including tracks with founding member, the late, great Brent Dowe! Great party at the Redwood Cafe! Nice spot in downtown Cotati, i gotta keep my eye on this one. Nice meeting you guys! Big Thanks Nomotrouble! And a very BIG UP to you for coming to Redwood Cafe. Was really great to meet you to have you there! Yes, Nomo! It was really great meeting you. Thank you so much for coming out. The show was a huge success. Bagga and I are so proud of what we accomplished!